Papa told tales of the mischievous Loki taunting Thor, house trolls who had taken revenge on their ungrateful families, old giants who were tricked into helping humans in exchange for a bottle of brännvin and of course her favourite, The Forest King’s Daughter, about the little girl who belonged to the Forest King. Papa always said the girl looked just like Ingrid, and the father like himself. The year is 1886 and Swedish teenager Ingrid Andersdotter is about to face a series of life-changing events – the rural poverty of her family which her carelessness suddenly makes worse, her attraction to the new school teacher which leads to ostracism and shame, the pressure of the church to conform to ideas she doesn’t believe in, and her strong opinions which put her at odds with her traditional community. Ingrid’s only option is to leave her home and family, first to Stockholm as a lonely servant in a rich household, where she soon discovers her vulnerability. Just when she fears she’ll be thrown onto the street, a turn of events gives her the chance of a new life – in America. But is she brave enough to make an ocean crossing to a strange land on her own, leaving everything she knows far behind? And will she find the freedom she dreams of if she takes such a risk? Kendra Olson is a writer and editor of fiction and creative non-fiction. 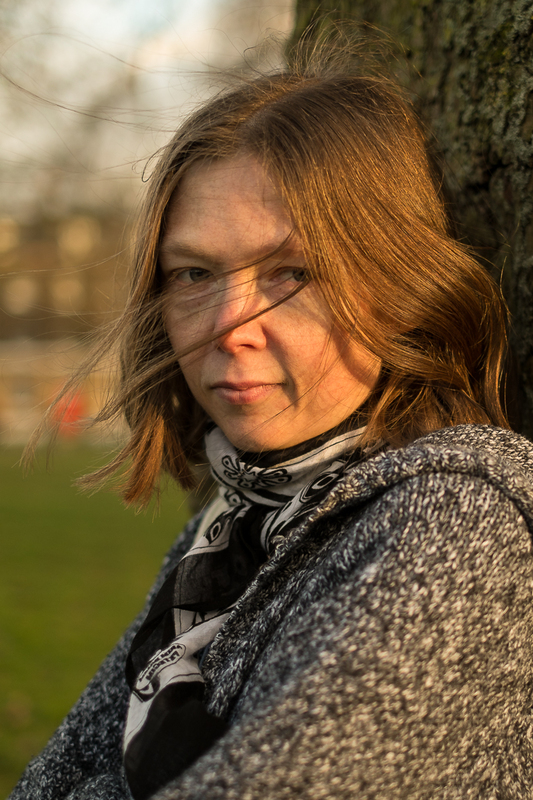 She holds an MLitt in Creative Writing from The University of Glasgow. She is a full member of the Editorial Freelancers Association. When Kendra is not writing or editing she enjoys spending time with her cats and reading as many books as possible. A moving read which deserves every one of its five stars. The Forest King’s Daughter is set in 1886 in poverty stricken rural Sweden. Ingrid is our protagonist and while she loves her family deeply, a deep thirst for knowledge and a strong sense of justice makes her constantly question a church, as represented by Dean Larsson, which is unforgiving and downright mean, and a way of life where women have no say over their destiny. As the story progresses, Ingrid is compelled to follow her instincts and her heart. This puts her in direct conflict with the people she loves the most, her society and the church and sets her on a risky journey of no return, which eventually takes her out of poverty and to America and a better life. 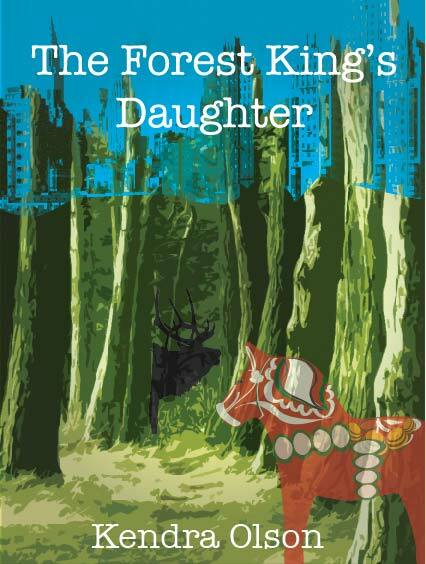 The Forest King’s Daughter is a fascinating and compelling read, full of well researched details which bring the story and its setting and the characters in it wonderfully to life for the reader. Ultimately, this could be the story of any immigrant and the lengths some people are driven to in order to bring themselves out of poverty to make a better life for themselves. Ingrid succeeds and gets her better life, but in doing so she loses all that is dear to her ie: her family. So, while the novel ends happily, it is is laced with sadness and tinged with the memory of all the immigrants who didn’t make it. This deserves every one of its five stars. This is a great debut novel by Kendra Olson. It is set in 19th century Sweden and stars Ingrid, the 16 year-old daughter of a poor farming family in Varmland. Ingrid is a great character. She is a strong, resilient and principled young woman who is forced to leave her family to work in Stockholm after becoming embroiled in a scandal involving her schoolteacher. It’s impossible not to root for her throughout her travails in Varmland and in Stockholm as she struggles against the restraints imposed not just by social expectation and powerful religious figures but also by her poverty. Despite seemingly insurmountable difficulties, Ingrid determines to make her way to a new and better life in America. The depiction of her epic journey and life aboard ship is beautifully realised and the ending very satisfying. A thoroughly enjoyable read. Excellent historical coming of age novel about about a teenage girl in the late 1800’s. Real page turner. This is an excellent book! Although it starts in 1886, much of the story about a teenage girl in Sweden, is timeless. It starts with daily life on a farm in Sweden, Ingrid’s immaturity and lessons learned, her disagreements with her parents over “boys”, and what they think she should do with her life. Ingrid could have been living in the 1960’s during “women’s lib”. She has no fear of speaking her own thoughts as they relate to women and their future. She really goes against convention.This gets her in a bit of trouble. We then read the very interesting and gripping tale of her emigration to American alone. Incredible! I honestly could not put this book down and wished there was more. I was left with wanting to know more about Ingrid’s life in Minnesota. I loved this book. I received a free copy and provided this review voluntarily. Set initially in 19th century Sweden and ending in the American State of Minnesota,The Forest King’s Daughter tells the story of 16 year old Ingrid, whose desire to stand up for what she believes in leads to an epic journey – especially for this innocent daughter of poor farming folk. It’s a story with several dimensions: part historical novel, part romance and part adventure; all are perfectly balanced for a well-rounded and very readable first novel from Kendra Olson. Ingrid is a strong and engaging character, and whilst this is her story, it’s also very much the story of hundreds of young women like her who have felt compelled to leave home and face the unknown in a foreign land. It’s this that helps make the story so compelling. There is humour, despair, hope and challenge; a great story. You will travel with Ingrid – and find yourself thinking about her long after the novel is finished. I couldn’t put down The Forest King’s Daughter Author Kendra Olson. I stayed up all night reading this fantastic and magical novel. About Ingrid a young woman who emigrates from Sweden to America. Following her adventure and reading her diary entry’s throughout her story is very gripping and I loved how in some parts the novel weaves little fairy-tales throughout.. I found at times some parts of this novel to be emotional and heartbreaking and other parts magical and a great adventure. I loved this novel and will read it over again very soon.. The characters are very interesting and I couldn’t help but get drawn into their lives with each page I read.. I would highly recommend this novel to anyone, it’s truly very special, magical, gripping and a fantastic bed time read that will keep you needing to read until the end, so you can sleep knowing how it all worked out.. I thoroughly enjoyed reading The Forest King’s Daughter and following the life, and transformation of the protagonist, Ingrid. The research, historically adds depth and flavour to this superb debut novel. I felt I was travelling along with Ingrid. the descriptive language enabled me to visualise clearly what was happening. The poverty and hardship she and other characters had to endure was particularly well written. I found throughout the novel, I was rooting for Ingrid and was rewarded not just with the transformation but a very satisfying ending. So I finished the Forest Kings Daughter last night…I loved it. It was such a lovely story, although very bleak at times and it felt very real and faithful to how tough times must have been in Sweden back then. If you are trying to decide on whether to buy this novel, then do yourself a favour and do it. A great debut by a great author. I really enjoyed this book. It tells the story of a girl from Sweden, her life there and her emigration to the United States. I found it interesting and enjoyable and recommend it to everyone! The Forest King’s Daughter was not what I expected. I don’t read much historical fiction and from the cover and the blurb it didn’t seem to be my kind of book. I only bought it after I came across a rave review. Don’t be fooled by the rather slow beginning, but do savour the Swedish folktale. This very personal story of Ingrid and the real-life obstacles she faces in 1800s Sweden is a page-turner. I became so involved with this feisty young woman I couldn’t put it down. The details of her life and the unexpected twists and turns in her journey are original and well-told, with entries from Ingrid’s diary giving it a biographical quality. If I have a tiny criticism it’s that I didn’t care for the bookending of the story with Ingrid as a grandmother looking back — a minor irritation in a book I highly recommend. I discovered The Forest King’s Daughter when Kendra Olson won a cover poll for my book. It was my idea to buy her book and this is my honest review. 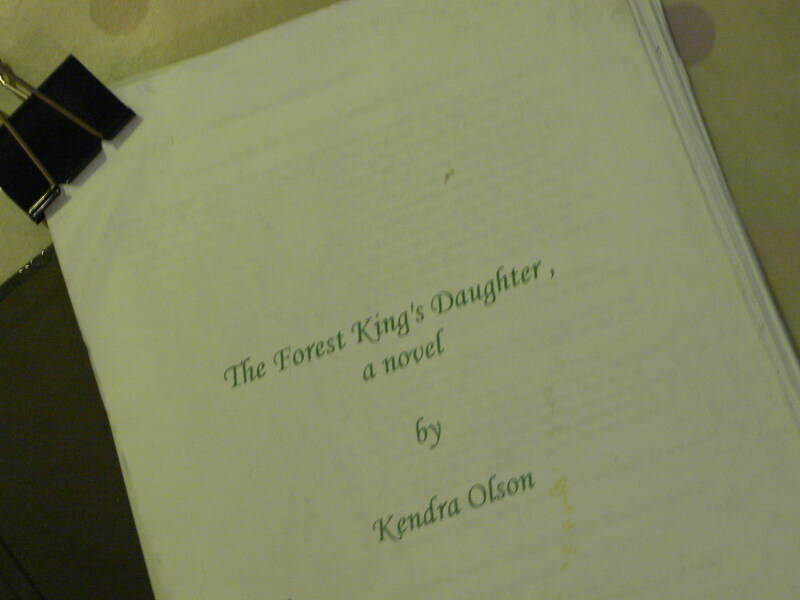 The Forest King’s Daughter is a novel I began writing in late 2011. The title of the novel is taken from a fairy story Ingrid tells her grandkids at the beginning of the book. The story was driven by the loss of my grandfather in 2010. My grandfather was very dear to me and always encouraged his grandchildren to follow their inclinations in life. In my case this was writing, something that was very close to his heart as he’d spent much of his life writing and editing children’s stories for publication. This loss prompted me to begin thinking about my own move from America to Britain and how families reshape themselves over time and distance. My grandfather came from a long line of Scandinavian Americans, most of whom settled in Minnesota and eventually ventured out to other states. His grandmother on his mother’s side came from Sweden and emigrated in 1891. She inspired the character of Ingrid. Although she died long before I was born, I’ve heard stories about her and been to visit the house she was born in and lived in before her emigration. Her character and the storyline itself are purely my imagining what things might have been like for a young woman at that time. Ingrid’s character is no more that of my great grandmother than that of any other woman. I also did research on the history and customs of Sweden and Swedish Americans. This was a lot of fun and meant I got to learn a bit of Swedish too. Nonetheless, I’m sure there are historical inaccuracies in the book, for which I am entirely responsible. So, how about you? If you’re a writer or artist, what motivates your work? If you’re a reader, what subjects do you like to read about, and where do you think that interest comes from? I’d be interested to hear, so please feel free to share your thoughts using the comments box below. Great blog post, Kendra, and interesting how you came to write your book, and what inspired you. I’m sure, you will have success with this book and will just be the start of your writing career! Thanks Ruth :-). And thanks for your comment on my blog.